Some close friends recently moved to Bejing and I’m trying to figure out a way to visit them. China isn’t somewhere I’ve always dreamed of travelling to, however the older I get, the more I appreciate the complex flavours and textures of authentic Chinese cuisine. And all the regional variations. So different from the Sweet & Sour Chicken and Deep Fried Ice Cream of my childhood. Which is making me more and more curious to explore authentic Chinese in its home land. One day. In the mean time I’m excited to share my very in-authentic yet very simple take on Chinese cooking. 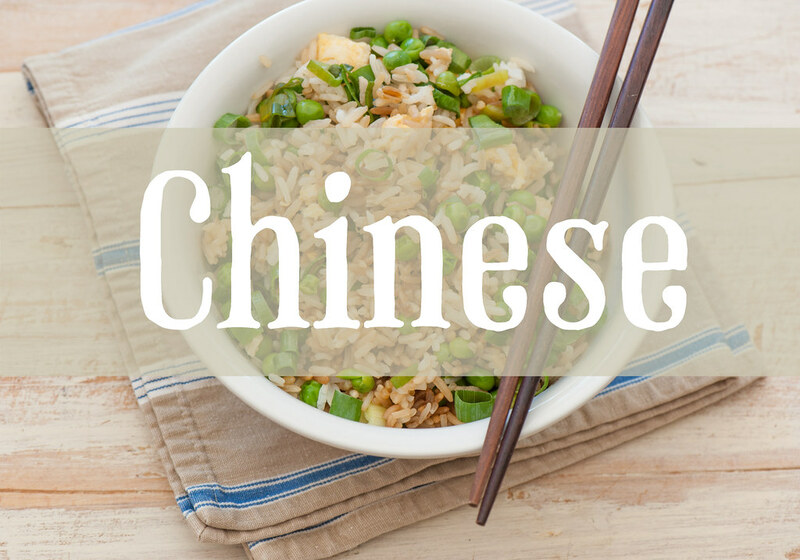 Chinese is one of the worlds best traveled cuisines. I love the fact that Chinese food tastes different wherever you go. The Australian Chinese is very different from Chinese in Cuba or Ireland or even Spain. I know because I’ve been to Chinese restaurants in all these countries. It’s also a very large country with many diverse regional cuisines. I’m not even beginning to do it justice with this list. Instant ‘Chinese’ – Toss in some ginger, chilli and / or garlic while cooking. Drizzle with sesame oil and soy sauce before serving with steamed rice. As I was pulling this together I realized my Chinese I’m on the lookout for more Chinese inspired cookbooks! If you have any faves I’d love to hear about them in the comments below….